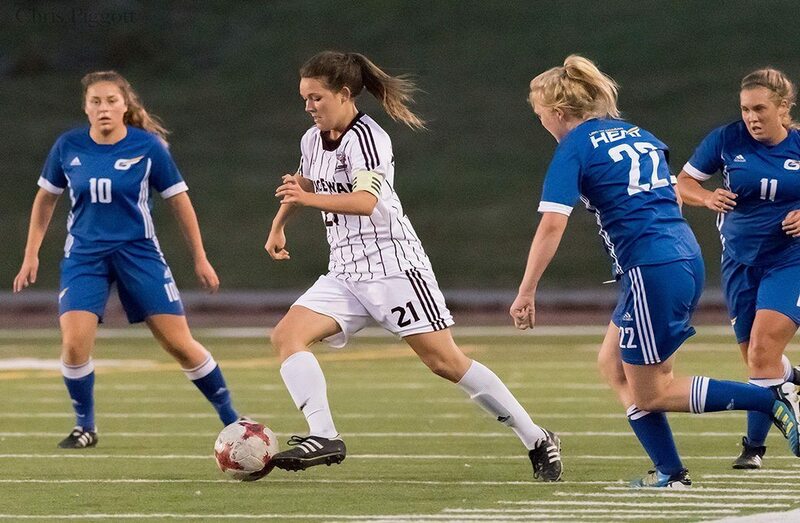 When she arrived at MacEwan University five years ago, Kristen Skrundz had no intention of playing varsity soccer. Skrundz had graduated from high school and had set her eyes on the path of becoming a Registered Nurse through the MacEwan University Nursing Degree program. There have been just as many people say that this couldn’t happen as there were people that encouraged me. After losing touch with her passion for soccer near the end of high school, Skrundz had decided that soccer was a thing of her past and was discouraged by many from playing because of the extensive course load. Fate had another schedule for Skrundz though. After scouting her during high school, Griffins head coach Dean Cordeiro had every intention of having the powerhouse defender play for his team. Five years later, Skrundz is on the verge of graduating and in the final year of eligibility. 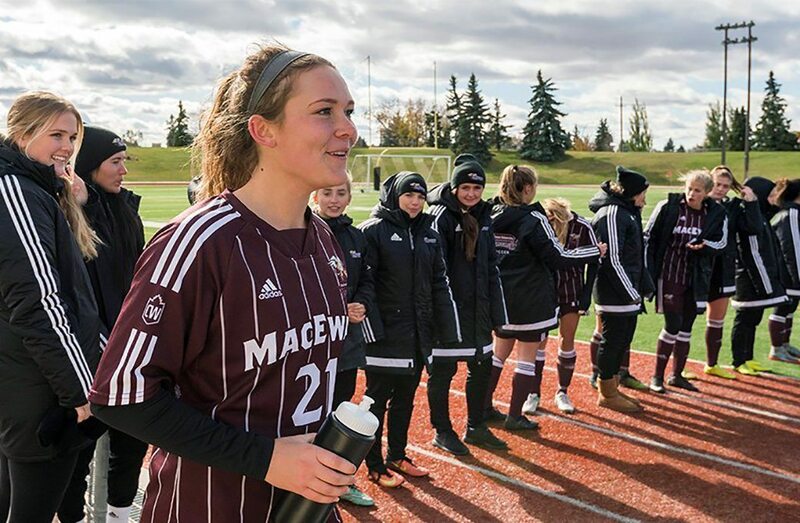 Since committing to MacEwan’s soccer program, the Griffin captain has won a Canadian Collegiate Athletic Association (CCAA) national championship with an undefeated season in 2013, along with U SPORTS Academic All-Canadian status and its CCAA equivalent – a National Scholar Award - every year she has played at the post-secondary level. It’s a testament to the immense growth the MacEwan veteran has showed both on and off the field over the last five seasons. I can’t thank my coaches and teammates enough for what they’ve done for me over the years. 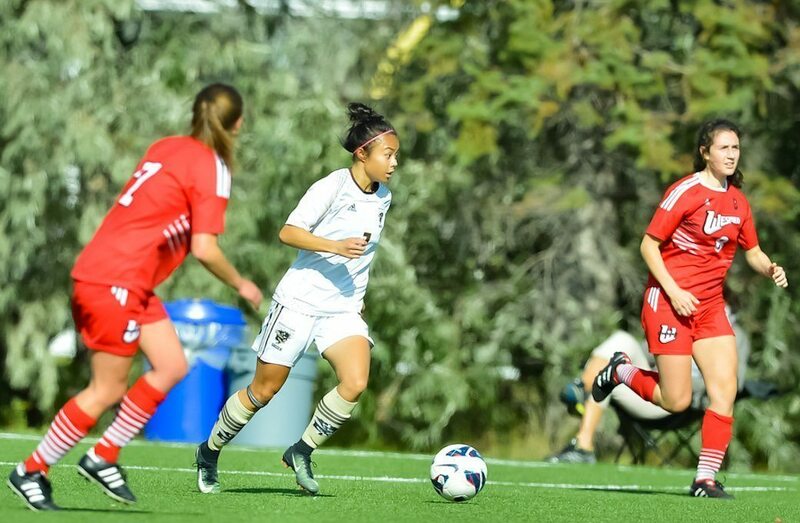 With a classroom-free future approaching, Skrundz has been forced to consider how soccer has prepared her for her future as a healthcare professional, and what type of legacy she will leave behind both at MacEwan and with the Griffins as she departs at the end of this academic year. Community, teamwork and communication, all desired traits and attributes one hopes to find in a hospital ward, a place she will find herself working in nine short months. Skrundz’s passion for nursing is no secret to the team and staff. Many of the younger Griffins ask her for counsel and guidance, whether it be for classes, scheduling or even what colour of scrubs to wear. When asked about her connection to nursing, Coach Cordeiro says so many of her attributes as a captain will shine through during her nursing career as well. But the praise doesn’t stop there. 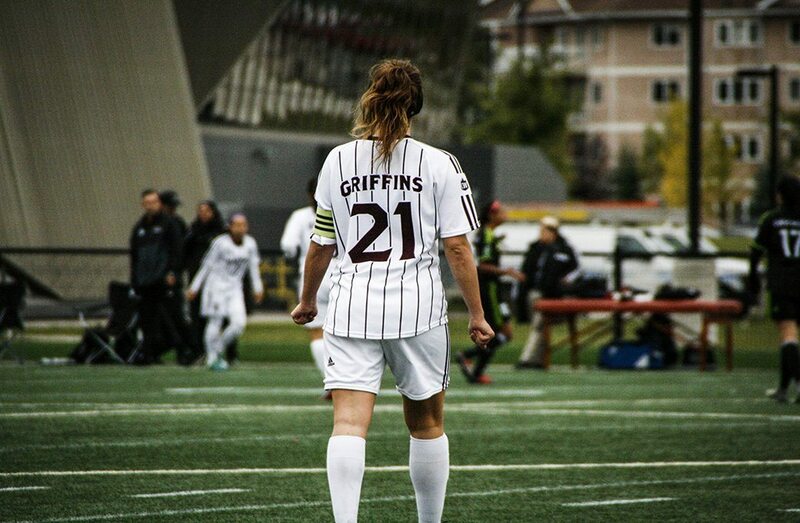 Earlier this season, Skrundz led the Griffins to the school’s first ever U SPORTS women’s soccer Top 10 ranking. But when asked about what she sees as her greatest success during her tenure, Skrundz has trouble pinpointing one moment, after climbing the school’s record books.